Get ready to play one of the most frustrating puzzle based games ever released on the Amiga. 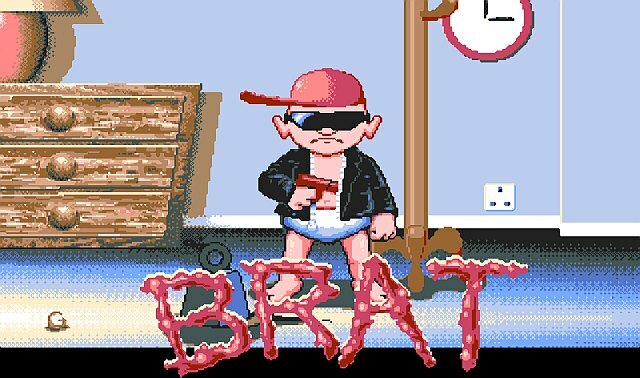 It's 'BRAT' by Image Works from 1991, which is now available as a free launch-able PC file thanks to The Company.PL. 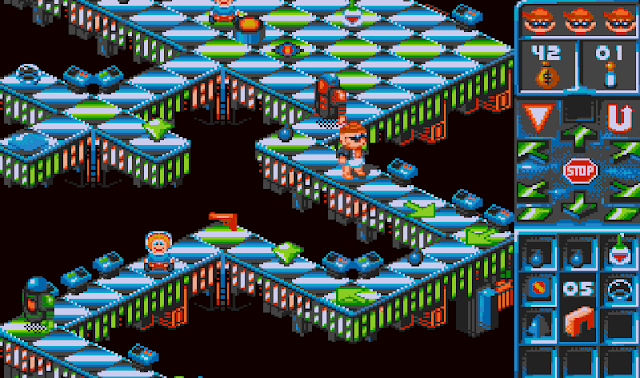 In this crazy isometric puzzle game, you the player, must guide Nathan through a series of 12 scrolling levels, while avoiding obstacles, picking up items and reaching the end of the level without falling off. 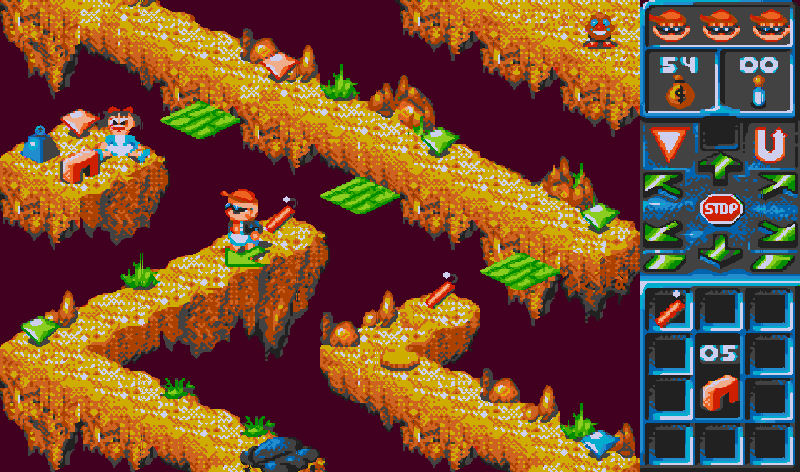 Each level has a set number of obstacles that must either be avoided or manipulated through the use of objects collected, such as a dynamite to blow up a rock. But be warned, Nathan, the brat, will keep walking and wont stop till he either falls off, hit by a baddie, or the screen screen lags beyond the player and you lose a life. The only guidance the player has to change the babies direction or stop him, is the use of the arrows and stop signs, but this must be done every step of the way with no delay, so the game is completely unforgiving. Putting all that aside, even with it's high challenge level this game is still great fun to play, it has loads of charm with a great sound track, and lovely sound effects such as beeping cars or the "waaaaa" from the falling baby. I for one would recommend this game to any one wanting to play a retro game that is every bit as good today as it was many years ago.